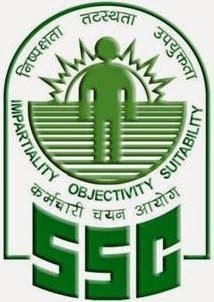 Friends.. Today (8 January 2015) Staff Selection Commission (SSC) vide their notice No. F.NO. 3/12/2013-P&P-I has announced that the Combined Graduate Level (Tier-II) Exam scheduled to be held on 24th and 25th January 2015 has been postponed. Candidates may refer to the Notice of the Combined Graduate Level Examination, 2014 published in the Employment New/Rozgar Samachar dated 18-24 January, 2014 and the tentative schedule of examination for 2015 (available on Commission’s website www.ssc.nic.in). The Combined Graduate Level (Tier-II) Examination, 2014 which is scheduled to be held on 24th and 25th January, 2015 has been postponed. The revised dates will be announced shortly. Other contents of the Notice will remain unchanged.